As many young adults continue to disengage with learning each day, teachers and administrators struggle to find programming that re-engages secondary students with their schooling and communities. This book profiles one program that succeeds in doing so, and should serve as a model for others. In a Midwestern alternative school, three teachers built a curriculum around hands-on learning, restorative justice Talking Circles, and multicultural education, in the hopes that it would re-engage and inspire youth. 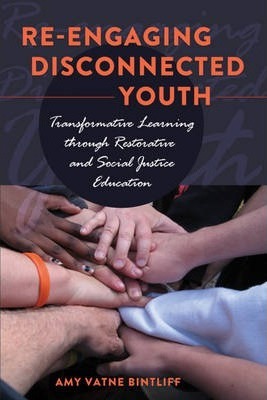 Drawing on adult transformative learning theory, this book is an in-depth, qualitative study of the ways the program transformed adult and youth perceptions of trust, connections, schooling, and human rights. This book breaks down stereotypes about youth labeled "at-risk" and provides evidence that it is never too late to become passionate about learning. Amy Vatne Bintliff is a teacher and researcher who has taught language arts and reading in traditional and alternative programs in Minnesota and Wisconsin. She is a trained restorative justice Circle Keeper and has developed a wide array of programming for students who struggle with school. A passionate advocate of human rights and multicultural education, she believes strongly in listening to the voices of adolescents.